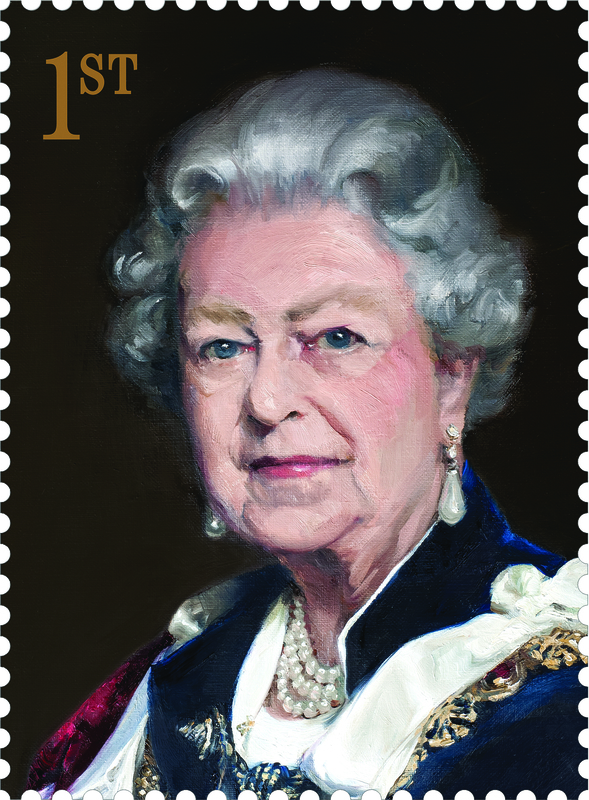 Royal Mail has unveiled its first ever commissioned portrait of Queen Elizabeth II to coincide with her 87th birthday yesterday. 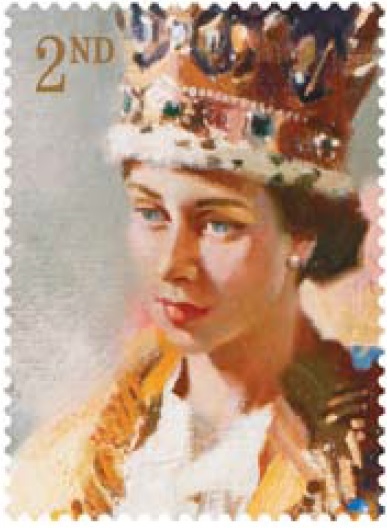 The new portrait by Nicky Philipps will be the centrepiece of a special 6-value stamp issue, ‘Six decades of Royal Portraits’ featuring the finest painted portraits of the Queen from the last sixty years. Celebrated portrait artist Nicky Philipps was chosen for Royal Mail’s first ever commission after consultation with the National Portrait Gallery. This isn’t the first time the artist has painted Royalty – in 2010, Nicky painted the first ever double portrait of Princes William and Harry. She also painted the Duchess of Cambridge last year. The new portrait, featuring the Queen in her Garter robes, was painted over three sittings at Buckingham Palace during the autumn of 2012. 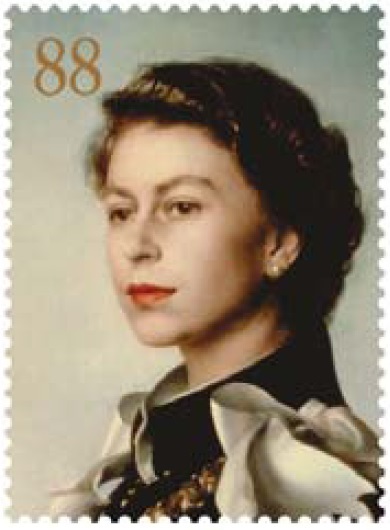 The 1st class stamp featuring the new portrait of the Queen will be issued, along with five other Coronation Anniversary painted portrait stamps, on 30th May to mark this year’s 60th anniversary of her Coronation. Terence Cuneo was the official artist for the Queen’s Coronation in 1953. It proved to be a highlight of his career, bringing his work to the forefront of the public’s attention. The Queen is wearing the Imperial State Crown in this portrait. One of two life-size portraits of the Queen by Andrew Festing painted in 1999 for the Royal Hospital in Chelsea where it still hangs today. 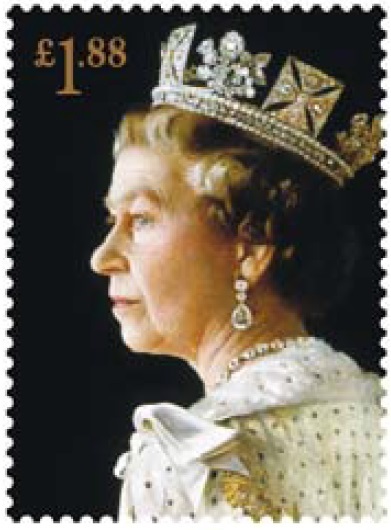 It depicts the Queen wearing robes for the State Opening of Parliament and the Diadem Crown. This romantic portrayal of the young Elizabeth taken in 1956 earned Italian portrait and fresco painter Pietro Annigoni huge international acclaim on its release. It remains arguably the most iconic portrait of the Queen’s reign. 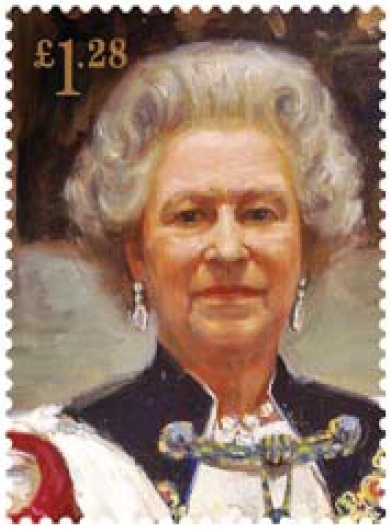 Taken from the 8ft tall ceremonial portrait by Sergei Pavlenko in 2000 depicting the Queen in her Garter robes. The portrait was personally unveiled by the Queen herself and is reported to be her favourite since the Coronation. This 1992 painting by Richard Stone involved seven one-hour sittings with the Queen at Buckingham Palace. Unveiled at the National Portrait Gallery in 1992 to mark 40 years since her accession, it currently hangs in the Town Hall of the artist’s home town of Colchester. It seems most portraitists have some trouble capturing Lilibet, as witnessed by the two new attempts. Anningoni has had the best success in my book. Nicky Phillips has managed to make Lilibet look like she is recovering from botched plastic surgery!